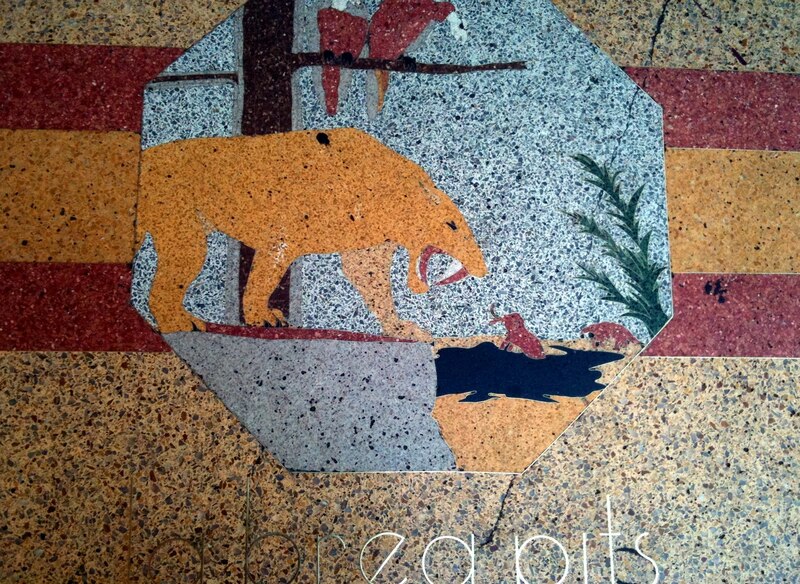 This tile is outside Clifton's Cafeteria. Not in beautiful condition, but considering it has been occupying a Los Angeles sidewalk for many years, it looks great. Question: Is it the only Saber-toothed cat to grace a downtown pavement? I'll wager it might be.